The Building Owners and Managers Association of California (BOMA California) preserves and promotes the interests of California commercial real estate professionals through legislative and regulatory advocacy. BOMA California is a federation of the eight metropolitan BOMA local associations in California and serves as the collective membership’s legislative and regulatory advocate. 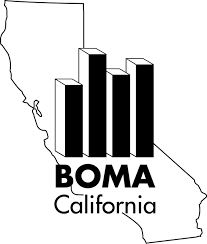 BOMA California was created in the 1980’s when representatives from several metropolitan BOMAs found themselves in Sacramento at the same time, testifying on the same legislative issues affecting the commercial real estate industry. In an effort to have the industry speak with one unified voice, in a cost-efficient manner and with greater authority, the leaders of several of the local associations decided to create BOMA California. To date, BOMA California has been effective on a wide variety of issues including forced access by telecommunications companies, energy deregulation, split roll property taxes, mandatory statewide fire sprinkler retrofit requirements, toxic mold liability, enhanced disabled access requirements, and much, much more. Visit BOMA California's website at www.bomacal.org to learn more about current issues and events.